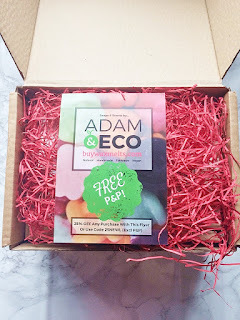 You may have already seen me talk about Adam & Eco before on my blog, not too long ago I did a blog post all about their wax melts which they sell at buywaxmelts.com which you can read all about here. But they have another website called Adam and Eco where they sell handmade soaps, bath bombs and scents. 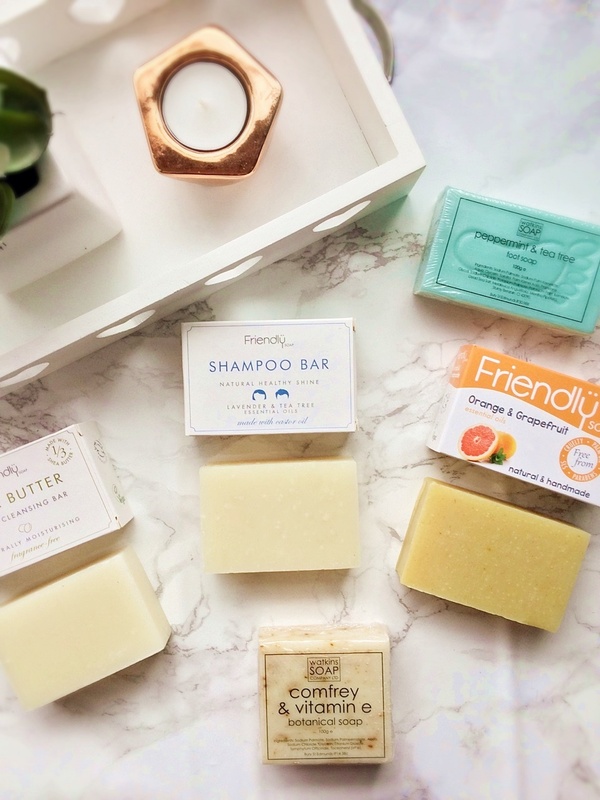 All their products are natural, handmade and vegan-friendly. They very kindly sent me their huge new gift box called the Top to Toe box which is priced at £20*. 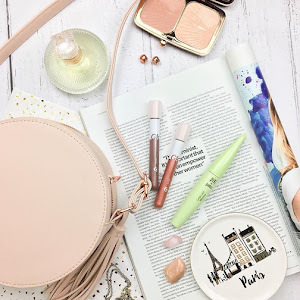 It contains many of the products they sell on the website or in store and has £26 worth of products inside. 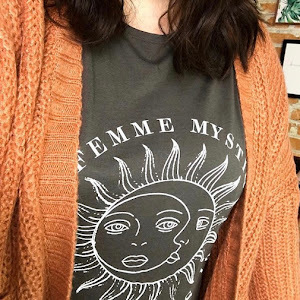 It would make a great gift for a loved one or a treat for yourself. 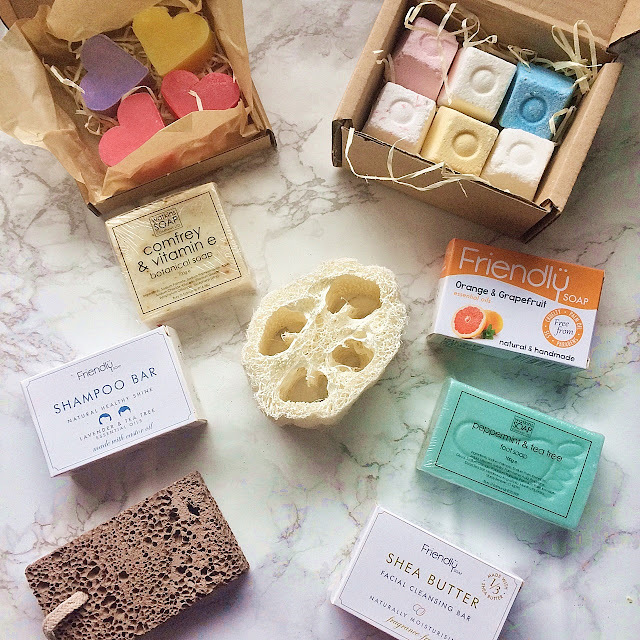 In the box, I received 5 full-size soap bars for different parts of your body, 4 mini love heart soap bars in a gift box, 6 bath bombs in a gift box, a natural loofah sponge and a natural volcanic foot pumice stone. I love a good shampoo bar! I find they last a lot longer than a bottle of shampoo if looked after and stored well and plus take up less storage space. The shampoo bar smells more like Tea Tree than Lavender and it lathers up so well! 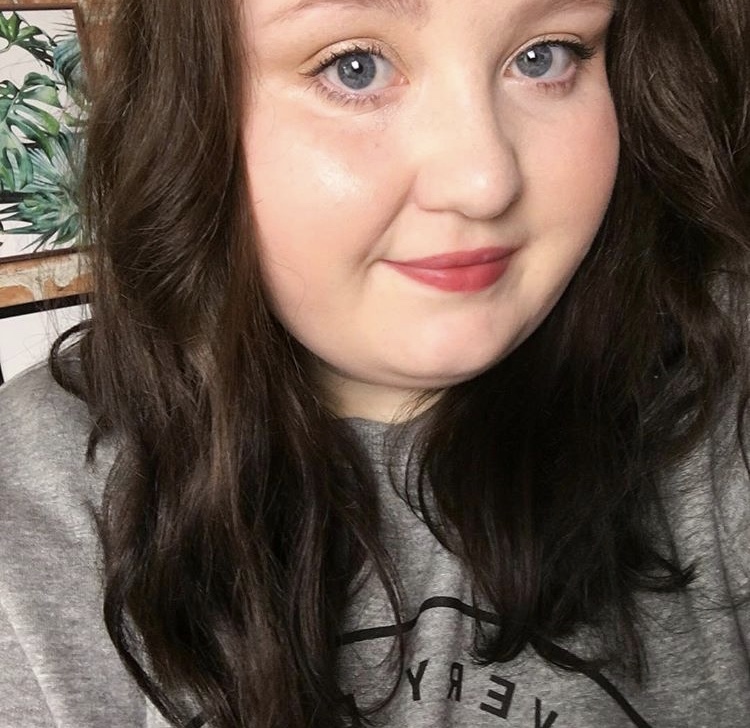 My hair felt so clean after using it. I used the L'Oreal Elvive Thickening Conditioner and my hair was full of volume and looked really shiny. If you love a fruity soap then this is definitely for you! It's a perfect soap to use first thing in the morning to wake your skin up as it has a very uplifting scent. It also contains shea butter so it will naturally moisturise your skin. This an very moisturising, unscented facial soap which is perfect for dry/sensitive skin types. I do have more of an oily skin type than dry but when my skin has dry patches around my nose/forehead then I'll definitely be using this soap then. This foot soap has added dead sea salt and has been made to naturally deodorise and exfoliate your feet. It lathers up well and smells very minty. It would be a great soap to use in the summer especially and it can also be used occasionally all over your body to relieve itchy skin. 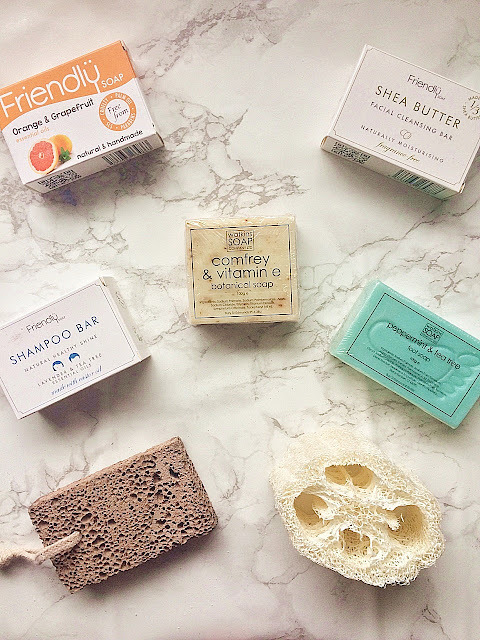 A lightly scented soap which can help heal and repair damaged skin. First of all, I can't get over how adorable these are! They are available to buy 3 for £2 (loose) or in a set of 4 for £3 which are in a gift box. I think the gift box set would make a cute little gift for a loved one. The soaps scents I received are - Grapefruit (smells just like Happy Hippy shower gel from LUSH!) Lavender, Raspberry and Wild Rose. They also sell the soaps in a flower shape too and there are many other different scents. You will get either the flower shaped soaps or heart shaped soaps in the gift box. 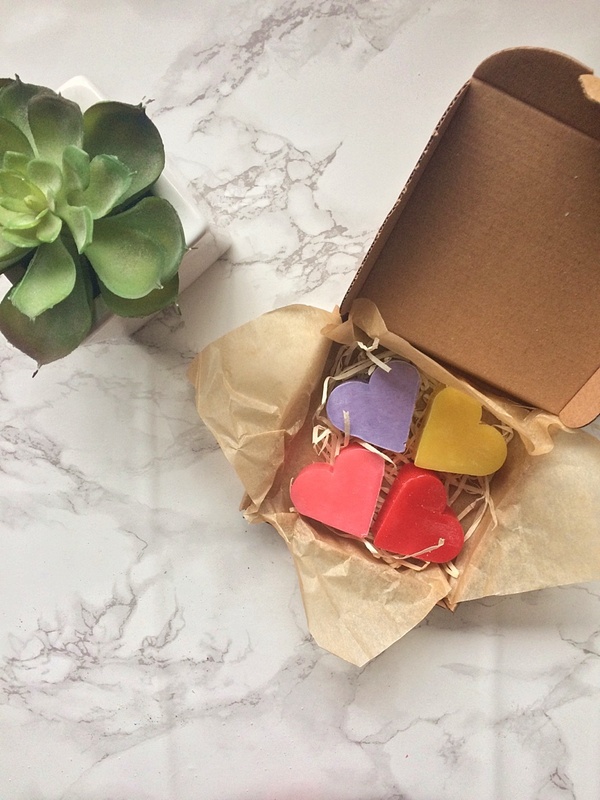 I know these don't look like LUSH bath bombs but they are so cute and they came in a gift box (available to buy for £5) and every single one smells amazing and the scent of the bath bombs lingers on your skin after getting out of the bath. The scents available are Apple, Champagne, Cherry, Coconut, Honey and Chamomile, Jasmine, Lemongrass, Rose, Sandalwood, Strawberry, Violet. In the Top to Toe gift box, you receive a mixed box of 6 bath bombs. The Volcanic Lava Foot Stone is a natural alternative to traditional pumice stones. It helps to exfoliate, soften and remove dry/dead skin. It works so well the Tea Tree and Peppermint foot scrub soap. The Natural Loofah is perfect to use during the winter or if you suffer with dry skin. Use the Loofah on it's side for an natural exfoliation or on it's end for a more intense exfoliation. It's great to use with the soaps included in the box. Overall I love everything in the Top to Toe gift box. I think it's a complete steal at £20 for the amount of products inside. 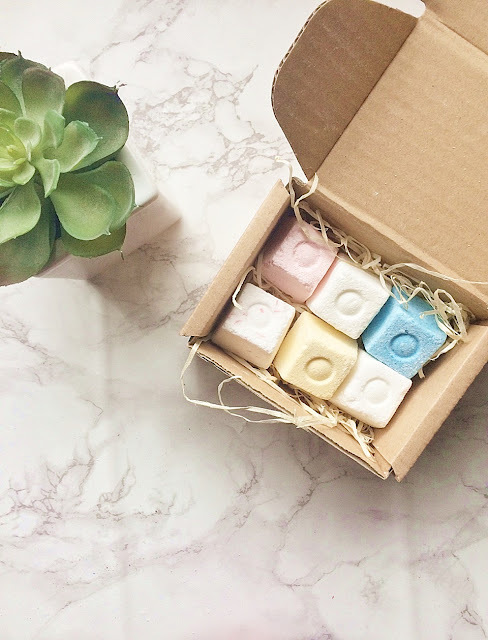 Everything that's scented in the box smells lovely and all of the products do exactly what they are supposed to do. 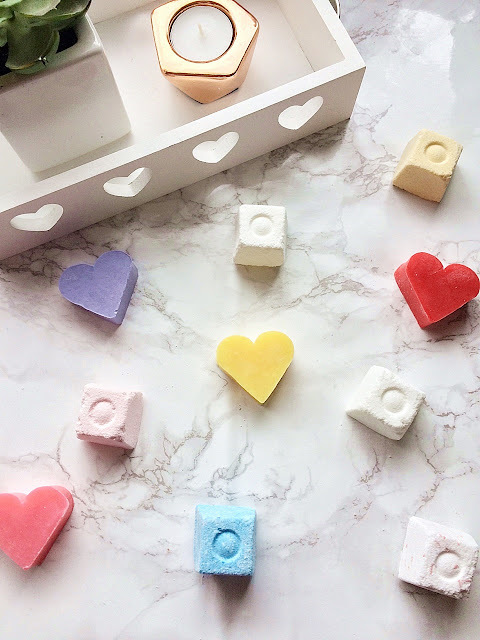 Also if you have any special requests or require alternative products (including the soy wax melts) you can add a note upon ordering your Top to Toe box or message beforehand. Subject to available stock and cost. You can visit the Adam & Eco site here or can visit their shop in Leeds at Kirksgate Market. Ohhh I've heard of these before! (Probably because you posted about them previously come to think of it!) 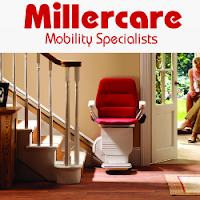 I love the sound of this brand!! That box looks great! Might have to make a purchase, seems like such great value for what you get!